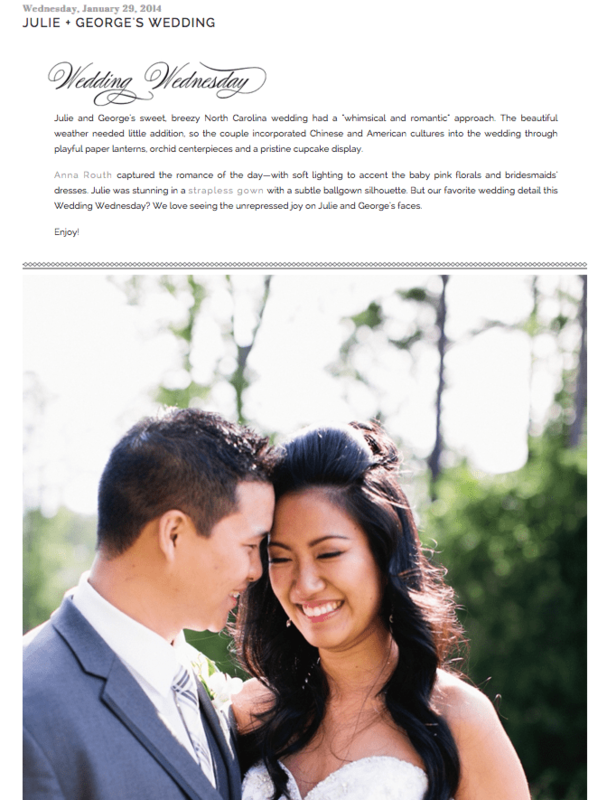 Julie + George had A gorgeous summer wedding in Raleigh, North Carolina. 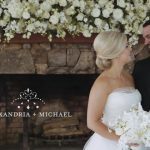 Cute paper lanterns, stunning orchids, and a beautiful blend of Chinese and American culture made this wedding stand out. 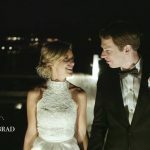 This couple had so much energy and fun together and it really shined through in their wedding film. 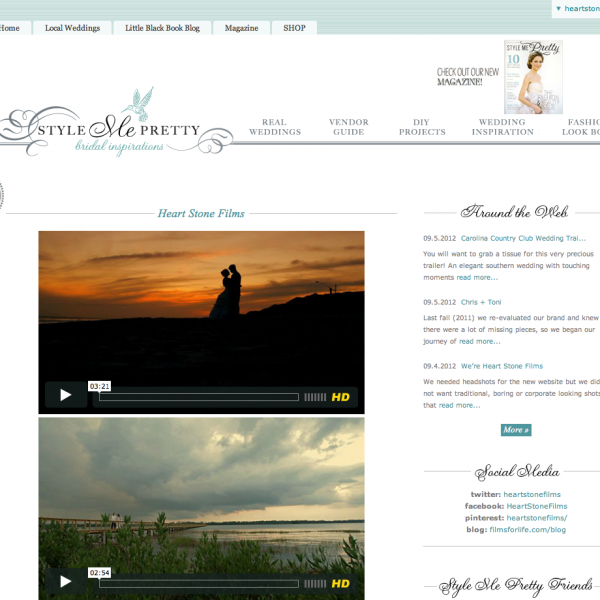 George even created a cute video for Julie to watch on the new iPad he gave her on the wedding day! Enjoy their film and check out their feature below! Finals week – the single most dreaded phrase in the vocabulary of any student. It was the Friday of the weekend before Finals Week, and he had “exciting” plans to spend the night studying for upcoming exams. But his friend, Khalil, had other plans for him…being the great friend that he is, Khalil said “George, stop being a loser and come out with me tonight. The books will still be there tomorrow morning and you’ll have the rest of the weekend to study. Trust me, it’ll be worth it.” Little did George know that Khalil was playing Cupid and had set up a “meeting” with Julie and her friends that night just so he could introduce them to each other. Turns out that George made the best decision of his life when he gave in to Khalil’s peer pressure and decided to go out that night. Julie and George instantly hit it off over a game of foosball and he knew he’d hit the jackpot when Julie agreed to join him at the library the next day to study for finals. They would spend countless hours studying for finals over the next weeks, and began “officially” dating a few weeks later. The Place – Wonderful, luxurious Gaitlinburg, Tennessee (whoa whoa whoa, timeout …where did you say again? Gaitlinburg? Where in the world is Gaitlinburg? What IS in Gaitlinburg? Yeah, those were my thoughts exactly before we made this trip, haha). The Plot – Julie and I had talked about going on a vacation with her close group of friends (Lisa, Tony, Danny, Connie, David, and Charley – aka “The Famree”) the weekend before I was to start my Fall 2012 semester of dental school. After some discussion, we decided to go to Gaitlinburg, TN, rent a cabin in the mountains, and enjoy a weekend of rafting, hiking, and other outdoor activities in the Great Smoky Mountains. Ironically, it just so happens that a week or two before this trip, Julie had half-kiddingly, half-seriously asked me when I was planning to propose. 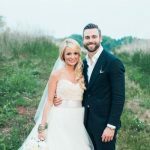 (Even though Julie and I had been dating for only 8 months, we both knew we wanted to marry each other after a couple months of dating. Julie had no idea, but I had already been shopping around for an engagement ring over the past couple of months – I just hadn’t decided exactly when or how I was going to propose). So I casually and cooly said, “Babe, you know that I want to marry you but I’ve been away all summer on externships and this semester is going to be really busy for me with residency interviews. I think it’s going to have to wait until sometime next year.” And BOOM … just like that, the trap was set, haha. Although I didn’t know how or when I was going to propose to Julie, I knew two things: 1) that I wanted her to be completely surprised and 2) that I wanted her closest friends to be there when it happened. So after talking to Lisa (Julie’s best friend, Maid of Honor, and my PIC — partner-in-crime), I decided that this weekend trip to Gaitlinburg would be the perfect time to propose. I made secret arrangements to pick up the ring from the jeweler the week of the trip while Julie was at work, called Julie’s parents to ask for their blessing, and Lisa made sure that everyone going on this trip knew about my “secret plan”. The Big Weekend – After a 6 hour drive, we got into Gaitlinburg on Friday afternoon and settled into our beautiful, gigantic 4-story, 8 bedroom cabin. Lisa and I talked it over and finally we came up with the idea of going on an early morning hike with everyone in the Smoky Mountains to the site of a popular scenic waterfall, and I would propose to Julie as the sun came up. There was a problem though — we both were keenly aware that Julie likes to sleep in, especially when she’s on vacation, and so she probably wasn’t going to be too thrilled about getting up at the crack of dawn to go on a hike. But all of Julie’s friends did a fantastic job of convincing (more like peer pressuring, haha) Julie that going on this hike to see this waterfall was a “once-in-a-lifetime” opportunity and that it’d definitely be worth it. To my relief, she agreed and we all decided to leave by 6 AM the next morning. As a way of thanking all of Julie’s friends for waking up so early on their vacation, I decided to get up at 5 AM and make breakfast for everyone. I’ll be the first to admit that I am not the best cook in the world, so I was pretty grateful when Lisa and Tony also woke up early to save me from turning breakfast into an epic disaster, haha. Julie will be the first to tell you that I am not a morning person at all. On an average day, it usually takes me an hour or so to get out of “George’s morning grumpy, groggy mode”. This particular morning, however, Julie claims that I was “abnormally energetic and giddy for 6 AM”. I even remember her saying to me, “You’re acting really hyper and weird this morning. What’s gotten into you?”. To which I calmly replied with a smile, “Nothing, I’m just excited to go on this hike and see this waterfall. I love this kind of stuff” — little did she know she’d find out the real reason why I was so excited in a couple hours! To put the icing on a perfect morning, right after I proposed, the sun, which had been hiding behind an overcast sky all morning, managed to peek through the clouds for a few minutes before disappearing again … I like to think that it was a sign of approval from God for a match that He made in Heaven, but it was probably just pure coincidence.